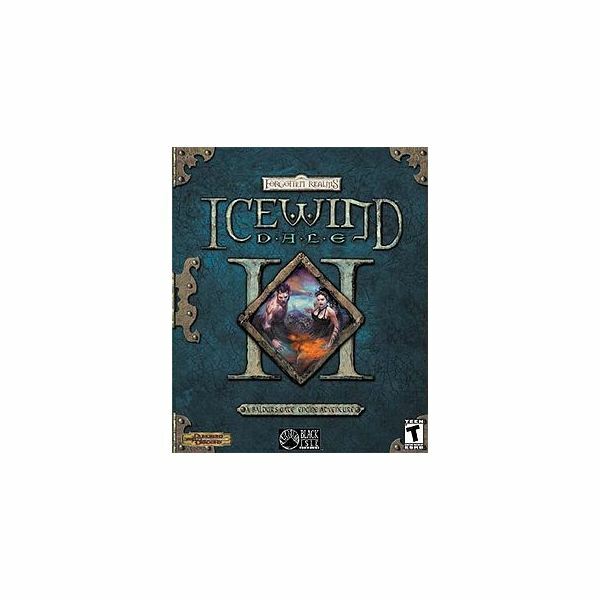 Icewind Dale II is the 2002 sequel to the original game that was released in 2000. Although it looks and plays very much the same way, I never liked this one as much as I did the original Icewind Dale. Both of these games are very similar to the two far superior Baldur’s Gate games, with the main difference being that these are more focused on combat than story. This game has the distinction of being one of the first Dungeons & Dragons based computer games to employ some of the 3rd Edition D&D rules, which were new at the time of the game’s release. The character building and leveling aspect of this game was really more of a mixture between 2nd and 3rd edition rules, but it worked very well in terms of computer role playing games. Some part of the complicated D&D rules just wouldn’t translate well to a computer game. Combat in this game is turn-based, and you use your party of characters as a group to take on a wide variety of foes. The game is designed so that you must keep a diverse group of characters with varying skills and specialties in order to get through certain parts, because many of the combat encounters are largely weighted in the enemy’s favor. This can often lead to some very frustrating battles where your weaker characters get killed off if they are not protected. Like many games of this nature, the best advice is to save the game often. The Infinity Engine was used on this game, and it is the same core system used on the original Icewind Dale, plus the two Baldur’s Gate games. The problem was that by the time this game was released, the Infinity Engine was several years old and the graphics were looking very dated. The look of this game just couldn’t compete with more modern 3D-based role playing games, though many gamers (myself included) still loved the system put forth for this game and the ones before it. This just proves that graphics aren’t everything when it comes to making a great video game. I eventually became unhappy with the way Icewind Dale II was going and quit playing before I finished the game, but this was after I had logged many hours in it. The problem for me was that the game got to be too much, and it broke away too far from what I consider the basics of Dungeons & Dragons. The turning point came when I was in one of many caves, and monsters literally began spawning out of nowhere and attacking my party. I was caught up in the middle of an onslaught and it just stopped being fun. The main complaint that a lot of role playing gamers had about the original Icewind Dale game was that it was too combat-oriented, and in this game the developers went overboard with the amount of fighting you have to do. Despite being sometimes frustratingly difficult, Icewind Dale II is still a fun game, and was the last to use the Infinity Engine before Interplay went out of business. I would love to see another game like this released one of these days, as I truly miss this kind of party-based RPG action. It seems like most PC role playing games are either MMORPG’s or click-and-slash stuff like Diablo or Titan Quest, and that saddens this old school gamer. Should I use DnD Background Generators? Looking for Dungeon Tiles, but not sure where to get them? Dungeon Map help.